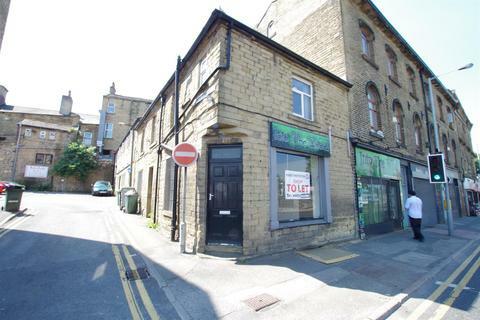 Your Choice estate agents are delighted to offer SUITE 20 a self-contained OFFICE in a prominently located within Shipley Town Centre Bradford West Yorkshire. Shipley is a short distance from Bradford and close to the UNESCO World Heritage Site of Saltaire. Shipley is a thriving town with a reputation for good restaurants and bars. The popular Aagrah is one of Yorkshire's most established Asian restaurants, and the first restaurant was in Shipley. Whatever your taste there are plenty of restaurants covering all world cuisines. To the North of Shipley, across the River Aire, is a wooded ridge called Shipley Glen (the word "glen" referring to the little valley beneath the ridge). This has long been a popular beauty spot, and in 1895 the Shipley Glen Tramway was built to carry visitors up to the top. The nearby Leeds - Liverpool canal is also a pleasant place for a stroll or cycle and you can admire the Five Rise Locks in neighbouring Bingley. 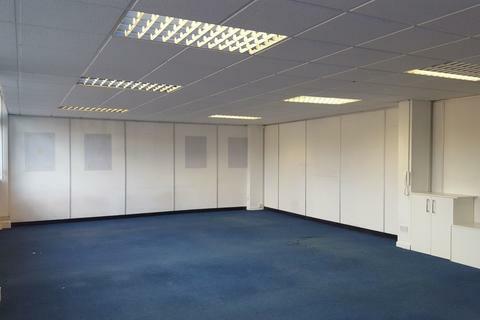 This business centre is located on the first and second floors of a building located in the centre of Shipley. Close to all local amenities, with Shipley train station only a 5-minute walk away. The M606, with nearby links to the M62 and M1, is within 5 miles. Roadside parking is available, in addition to parking facilities around the town. The kirkgate has a unique office spaces in a convenient town centre location. Office suites in this business centre ideal for start-up and small businesses looking for office space on a temporary or long-term basis. Our basic licence agreements offer flexible solutions available month to month bases. Business rates, buildings insurance, lighting, heating and cleaning of the common areas are all optional to be included or negotiated in the rent. SHARED Features include kitchen facilities, hall ways/landing/stairs with suspended ceiling with inset LED lighting in common area's, male and female toilets on each floor. Parking is available outside and in side streets according to some paid & unpaid area's. Interested parties are advised to check with the Local Rating Authority as to the current rates liability or we can try to obtain this information on written request. Guide Rental from £120 per week (plus VAT) inclusive on this particular suite which holds more one back to back desk. Rent and other charges once agreed are payable by standing order. A month’s deposit is payable at the start of the licence agreement on some offices. The Premises are individually assessed and tenants pay their own rates. Currently Small Business Relief applies to many of the office suites resulting in nil rates payable. Each party to be responsible for their own legal costs however there will be agents admin fee of £295 will apply to set up the pre licences or lease agreements terms between the parties. Property reference TOL-GKL1061W0V. The information displayed about this property comprises a property advertisement. OnTheMarket.com makes no warranty as to the accuracy or completeness of the advertisement or any linked or associated information, and OnTheMarket.com has no control over the content. This property advertisement does not constitute property particulars. The information is provided and maintained by Your Choice Estate Agents - Bradford. Please contact the selling agent directly to obtain any information which may be available under the terms of The Energy Performance of Buildings (Certificates and Inspections) (England and Wales) Regulations 2007 or the Home Report if in relation to a residential property in Scotland.